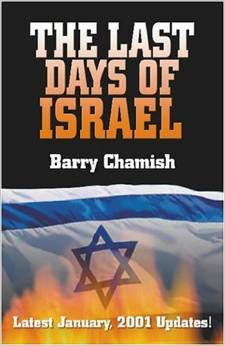 A friend has sent me a free download of his book titled “The Last Days of Israel.” I am posting part of it here for readers, just to show them how corrupt the “Political World” of Israel really is and how ALL the political parties and nearly ALL the politicians are betraying the Israeli people. This portion largely majors on Simon Peres who is a total crook and reprobate. He has also been a Vatican agent in Israel for most of his adult life. Simon Peres was educated by the Jesuits in Poland. It is about rigging “Democratic” elections and how the expert at rigging elections finally got rigged himself! You may find yourself wondering why the Israeli public cannot see through all this? Well, they would be wondering the same about the Unionist community in N.Ireland, how can Unionists not see their ALL leaders are betraying them and selling them out! In the March 14, 1994 edition of The National Review is a three-page article by Joel Bainerman and me called “The Peres Gambit”. In it, we prove that Peres rigged the 1992 elections and here’s how we found out. A number of months earlier, Yehoshua Meiri, a journalist for the left wing newspaper Chadashot, had an article printed within called “Beilin’s Secret Journeys”. Meiri claimed that in June 1990, Yossi Beilin, then Shimon Peres’ deputy, flew to Cairo to deliver a letter from Peres to Arafat. Peres offered the PLO a state if it would use its influence to shift Israeli Arab votes to the Labor Party or its allies in the next national elections. After three more Beilin trips to Cairo and the personal intervention of Secretary of State James Baker, Arafat agreed. The Arab parties won only four seats, compared to ten today, the rest of the Arab vote went to Labor and the Zionist far left. The PLO provided the difference in the vote which put Labor in power and the Oslo process was put in motion. Joel and I met Meiri several times and he provided solid documentation, including powerful tapes he secretly recorded. The National Review checked our sources and we passed their scrutiny. Several months later, reporter Steve Rodan followed our lead and interviewed Meiri at length. Like us, he found Meiri entirely credible and his evidence airtight. The result was a series of scoops in The Jerusalem Post that verified Joel’s and my findings. Peres had indeed rigged the 1992 elections and the PLO was allowed to determine the future of the Jewish State. But in 1996, the tables were turned on Peres. Natan Gefen in his book Fatal Sting recounts how he took the smoking gun Rabin murder document, the surgeon’s report proving Rabin was not shot twice in the back as our government insisted, but three times and once frontally, to Likud MKs Ehud Olmert and Dov Shilansky. Neither was interested and Shilansky told him, “We don’t need the report, we’ve already fixed things up.” Gefen concluded that the Likud had the proof and had already blackmailed Peres into throwing the upcoming elections. I answered that I had an idea. A few days later, Suissa’s secretary called. She invited me to the minister’s office and asked that I bring my documents for them to photocopy. In return, I would receive the most sensitive information of the whole Rabin affair. This was Sudri’s exposition. In February 1996, four months before the elections, disgruntled Shabak officers passed the documents I had acquired plus many more to the “top” of the Likud leadership, which must have included Netanyahu and Sharon. They organized a meeting with the “tzameret” or top of Labor’s leadership, which must have included Peres and his campaign managers Ehud Barak and Haim Ramon. After presenting the proofs, the Likud proceeded to blackmail Labor over Peres’ role in the Rabin assassination. If the name Rabin was used in Labor’s campaign, the Likud chiefs would release certain damning documents to the public. If Peres defeated Netanyahu in their television debate, other documents would be released. And if Peres won the elections, everything would be released. Labor did not bring Rabin’s memory into the contest, Peres gave a miserable performance in the television debate and Netanyahu won the elections though he really didn’t. FUNNY OLD WORLD AIN`T IT? ESPCIALLY OF YOU ARE NOT ONE OF THE ELECT!